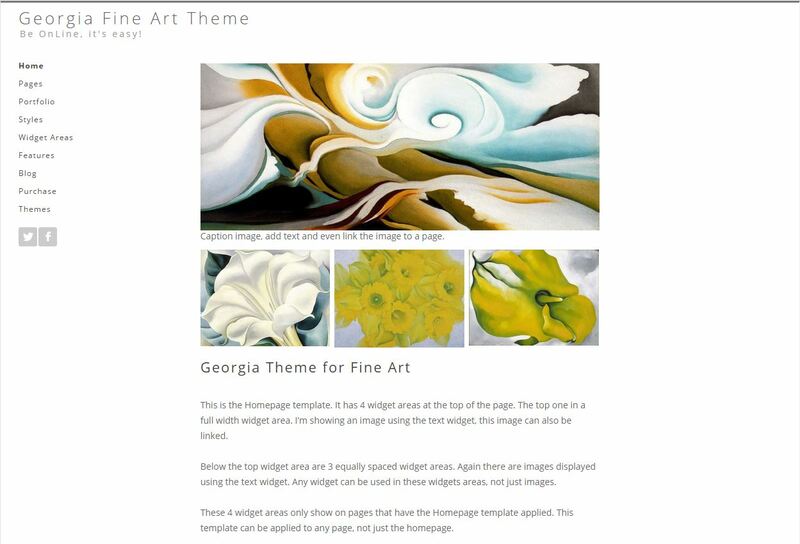 Georgia, named in the honor of Georgia O’Keeffe, is a parent theme that features 6 widget areas that are all shortcode enabled. This means you can add WordPress galleries to any widget area. There is a special homepage template that has extra widget areas. Use the image widget to set the theme up like the demo theme. Georgia is also WooCommerce enabled.